I love Christmas. It’s a time for family get togethers, copious amounts of food, but most of all it is about love and laughter. This year’s been a hectic one and I haven’t had time to do the gingerbread baking I normally do at Christmas, so I’ve come up with this instead. Here are three reasons to make this. 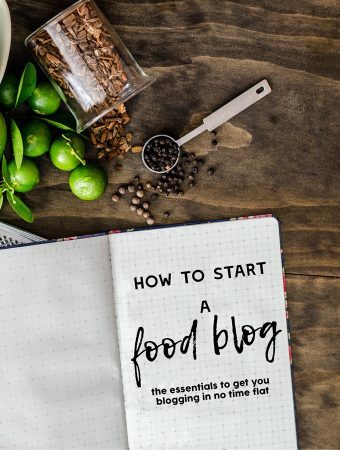 It takes all of 30 minutes (not Jamie Oliver minutes either). You don’t have to store it. I hate packing up Christmas decorations. 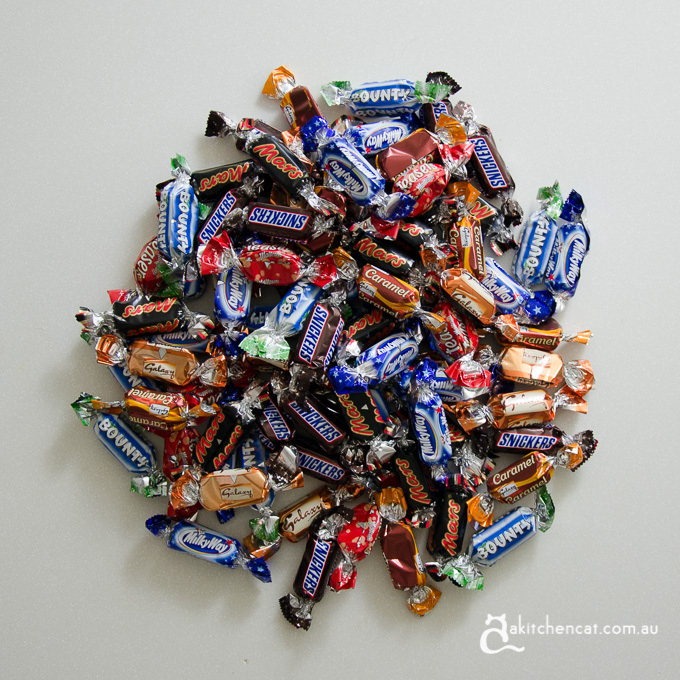 Grab one of these from the cupboard. 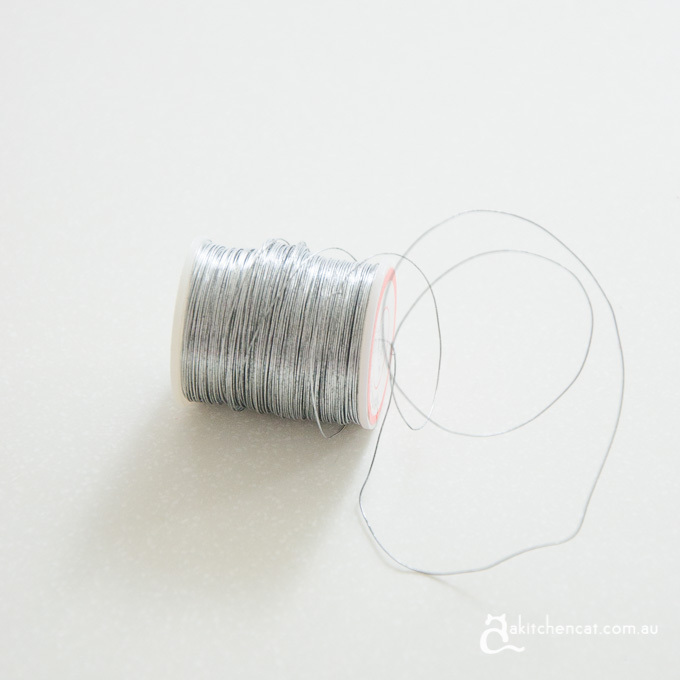 Buy some super thin wire from a craft shop. String works too, but it’s not as easy to use. Get a big box of chocolate, like this. 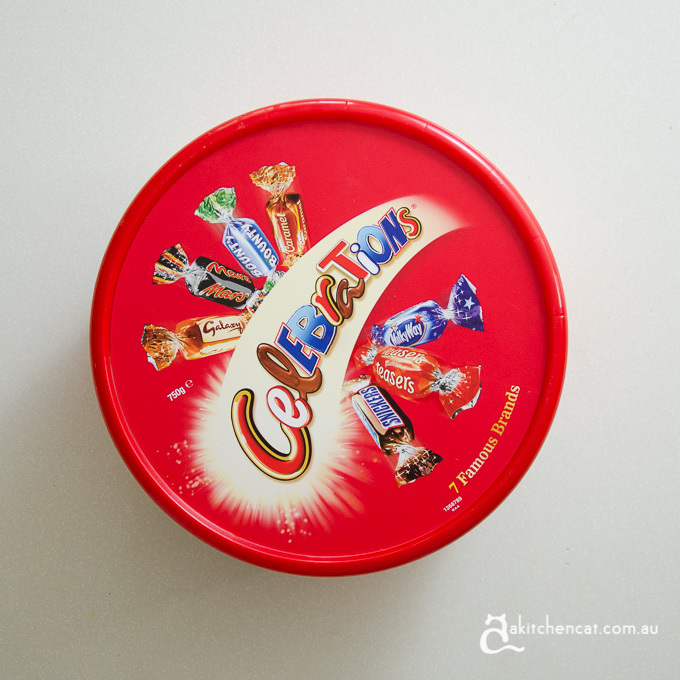 You don’t have to use Celebrations, obviously, I just like it because of their shape – the twisty bits are easy to wrap around with wire. 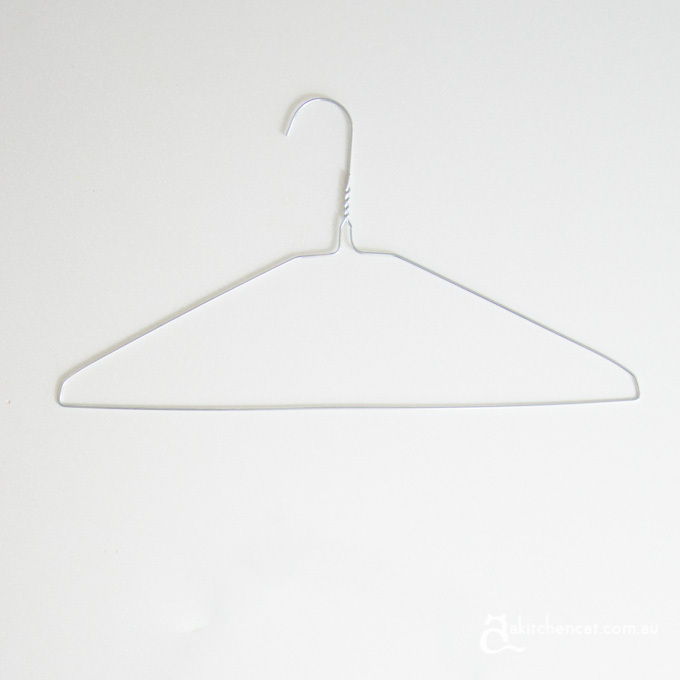 Using the Celebrations container as a guide, bend the coat hanger into a roundish shape of the same size. Empty out all the chocolate. 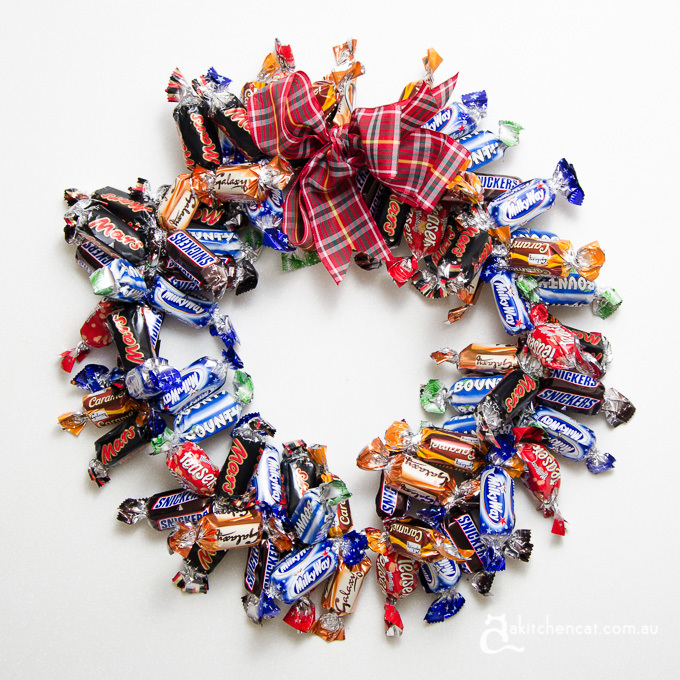 If you’re obsessive compulsive like me, sort out your chocolate so you can evenly space them around the wreath. 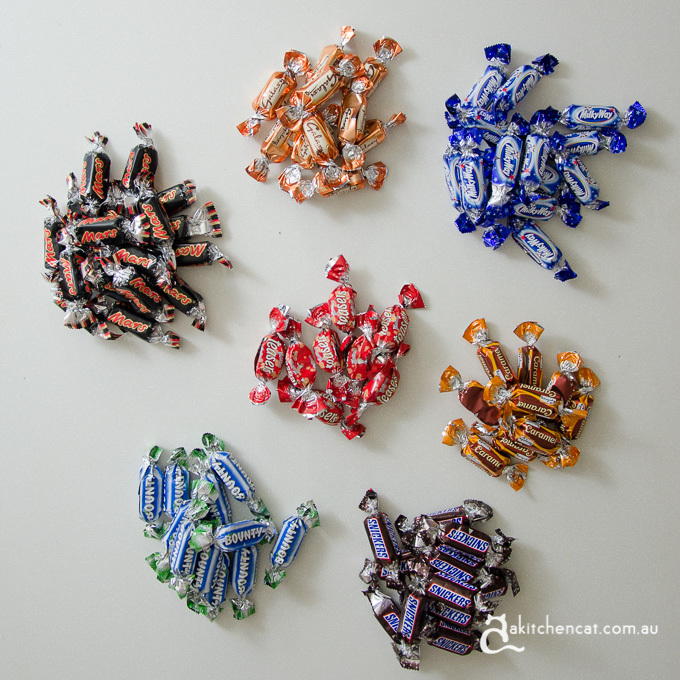 (Why are there always so few Malteasers?!) Or you could just wing it. 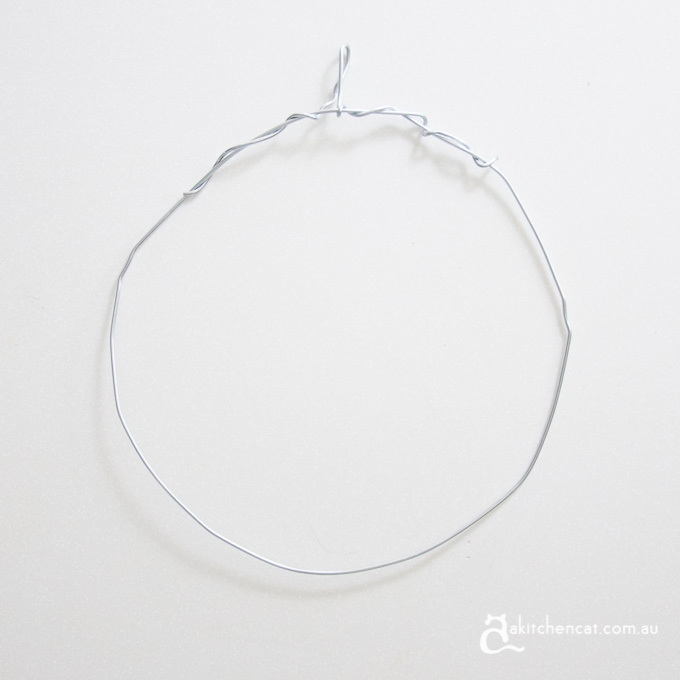 Use the fine gauge wire to tie the chocolates around the coat hanger. It works better if you do it in two rounds – the first to roughly space things out, and the second to fill in the gaps. Finish with some ribbon. Merry Christmas. If you’re taking it to work, it might be nice to leave a little jar where people can put in small change when they take a chocolate. Donate the money to your favourite cause and consider it good karma for the year ahead.